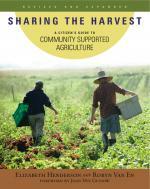 In this new highly revised and expanded edition of a Chelsea Green classic, authors Henderson and Van En provide new insight into making Community Supported Agriculture not only a viable economic model, but the right choice for food lovers and farmers alike. To an increasing number of American families the CSA (community supported agriculture) is the answer to the globalization of our food supply. The premise is simple: create a partnership between local farmers and nearby consumers, who become members or subscribers in support of the farm. In exchange for paying in advance—at the beginning of the growing season, when the farm needs financing—CSA members receive the freshest, healthiest produce throughout the season and keep money, jobs, and farms in their own community.